We love being a part of the veterinary and animal community here in Austin and beyond. Below are links to check out some of our closest friends. If your pet's condition requires hospitalization or advanced specialty care, we will recommend seeking treatment at a local emergency & specialty clinic. AVES is open 24/7 for emergencies. We understand that the loss of your pet is the loss of a family member. Your pet's passing is handled with complete respect throughout the entire process, with the Pet Loss Center being a central contributer in the memorialization of your pet. If your pet has ingested a potential toxin (medication, supplements, etc) we may recommend speaking with a veterinary toxicologist at the ASPCA Poison Control to help determine the best course of action. The AVMA provides essential research publications, continuing education opportunities, and information resources for veterinarians. Our local veterinary medical association provides opportunities for continuing education and networking amongst veterinarians and veterinary staff. 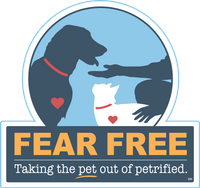 Dr Jenna is a member of this group of over 10,000 veterinary professionals who have committed to improving the veterinary visit experience for pets and their people by reducing fear, anxiety, and stress. Science-based, positive, and effective training for dogs of all breeds and temperaments. Austin Dog Zone also hosts a monthly "Austin Reactive Dog Walking" meetup to practice training with dogs who become overly excited when they see other dogs on leash!